Sen. Kamala Harris had some time Sunday to do the Lord’s work and speak some major truths that more than just a couple of people (like President Twitter Fingers) probably needed to hear said out loud. Talking at the 150th anniversary of the First Congregational Church in Atlanta, which is the second-oldest African-American Congregational church in the country, the Democratic junior senator from California focused on the need to speak the truth about our country and our values and to speak truth about the difficulties that we face. 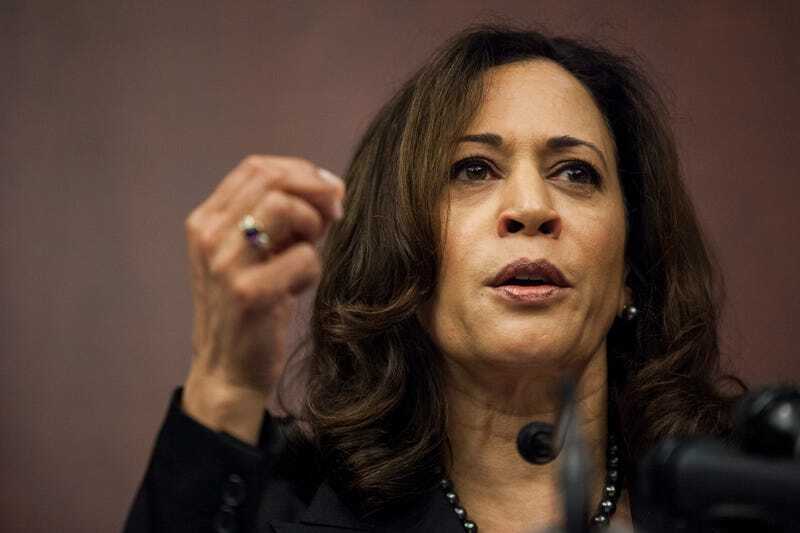 “Let’s speak the truth that when Americans demand recognition that their lives matter, or kneel to call attention to justice, that that is an expression of free speech, protected by our Constitution, and they should not be threatened or bullied,” Harris said. When we sing “The Star-Spangled Banner,” we rightly think about brave men and women from all backgrounds who proudly defend the freedom of those they may never meet and people who will never know their names. When we sing “The Star-Spangled Banner,” we also think about those marching in the streets who demand that the ideals of that flag represent them too. And that day, when I was looking at those women and talking with them, they were doing everything, by the way, from cutting the fabric to silk-screening, and pushing the paint through the stars and the stripes. So let us be clear that when we talk about our patriotism and love of country, it is about understanding our commonality, it is about fighting for who we are, and most important, it is about fighting for what we can be. Read Harris’ full remarks here.